If you have multiple cats in the house, I’m pretty sure you’re dealing with odor, germs, cat waste. LitterMaid Elite Mega is an automatic self-cleaning litter box that keeps your house free from all those troubles. 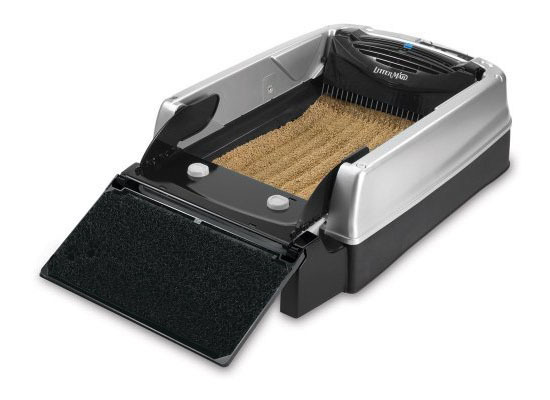 This litter box can detect when your cat leaves the box to automatically remove the waste into sealable container under the box using a durable steel rake. It’s not just that, the sensor will activate ionic air cleaner to absorb any odor, thus, refreshing the air. 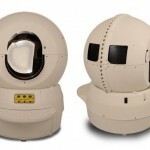 The company claims this device will decrease the nasty odor by more than 50%. Sounds too good to be true? 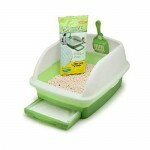 Ideally, this litter box is used in a house with multiple cats or a large cat since they’re create messy house. Cleaning is easy; you can detach the rake easily. At night, the ionic air cleaner cycles for around 10 minutes in every hour to make sure you’ll have fresh air when you wake up in the morning. The rake mechanism has been designed to provide the optimal safety to your cats, thus a slightest touch will make it stop immediately. LitterMaid Elite Mega litter box is equipped with removable ramp which can clean any litter from the cat’s paw as they exit the box. Now, after all those good things mentioned above, we need to tell you the truth about the downsides too. Based on other people who have bought this unit, they say that the instructions are not pretty clear, most of them don’t succeed at first try. The other thing would be the pretty loud sound when this unit works. We suggest you to place this unit outside the house or away from your bedroom, the annoying sound won’t be a problem anymore. 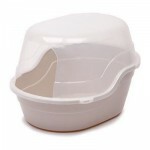 We also think by covering the litter box might help to cut down the noise a little bit. Each LitterMaid Elite Mega litter box comes with disposable plastic receptacles and air cleaners, however when you need to replace them with the new ones, you might find they are pretty costly. The trick to save more money is to line the plastic receptacles with plastic shopping bags. So, instead of throwing away the receptacles, you can just throw the plastic bags. The maintenance need to be done on weekly basis, but it also depends on how many cats use this unit. Please pay attention to the level of litter, because too much can make the unit bogged down while too less can make the sticky clumps stay at the bottom.